KoopaTV: KoopaTV Live Reacts: Nintendo Treehouse Live | E3 2018: In-Depth Octo Expansion! KoopaTV Live Reacts: Nintendo Treehouse Live | E3 2018: In-Depth Octo Expansion! By LUDWIG VON KOOPA - Traversing through many challenges in this extended look into the Expansion. By the time you're done reading this, the Splatoon 2 Octo Expansion will be available for purchase, for $20 on the Nintendo eShop. I know I'll be getting it. I'll be the only one in the reaction log below to get it, unless they sell it individually from Splatoon 2. Let me know if you aren't aware of our E3 2018 Schedule yet. 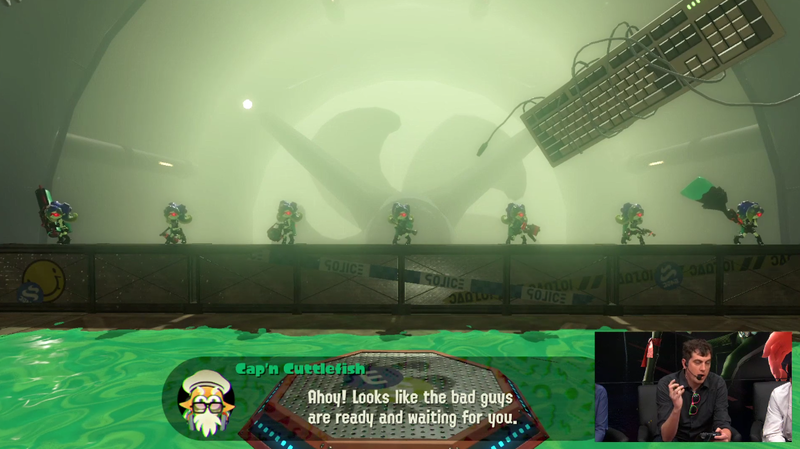 They showed the Octo Expansion earlier today, as well, in terms of the story cutscenes at the very start. [5:10 PM] Ludwig Von Koopa: Hey we're back. [5:10 PM] Ludwig Von Koopa: With more Splatoon 2: Octo Expansion. [5:11 PM] Ludwig Von Koopa: Morgan, Corey, Chiko, and the Squid researchers. [5:11 PM] RawkHawk2010: Is this gonna go on until 5 California time? [5:12 PM] Ludwig Von Koopa: Possibly? It ended at 6 Eastern last year. [5:12 PM] Ludwig Von Koopa: Or 6:30. [5:12 PM] Ludwig Von Koopa: Anyway, wot do you think of the character designs here? [5:13 PM] Ludwig Von Koopa: Radical Rails Station. [5:13 PM] Ludwig Von Koopa: Bust all the targets before time runs out! [5:14 PM] Ludwig Von Koopa: You can choose different weapon loadouts depending on the stage, which give varying rewards 'cause difficulty reward. [5:14 PM] Ludwig Von Koopa: Riding inkrails and shooting targets. [5:15 PM] Ludwig Von Koopa: Jump from one grind-rail to another to get to the targets. [5:15 PM] Ludwig Von Koopa: You're wearing a suicide vest or something. 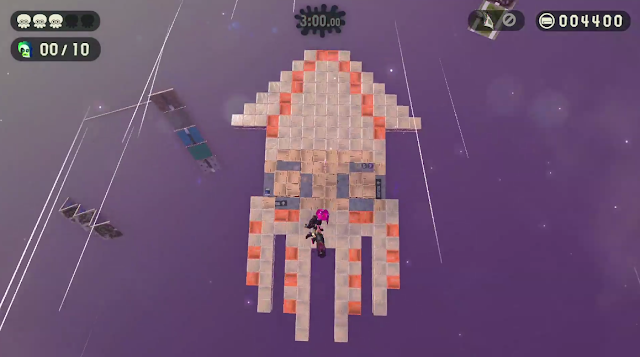 [5:15 PM] RawkHawk2010: Yeah if I played Splatoon it'd be for this. [5:17 PM] RawkHawk2010: So what is this, XC2 Challenge Battle Mode but for Splatoon? [5:17 PM] Ludwig Von Koopa: ...maybe. [5:18 PM] Ludwig Von Koopa: Now they're showcasing a challenge stage with an infinite Inkjet. [5:18 PM] Ludwig Von Koopa: I have trouble with the Inkjet, personally. [5:19 PM] Ludwig Von Koopa: And avoid weapons that have it as the special in multiplayer. [5:19 PM] Ludwig Von Koopa: I disappoint my allies in Salmon Run with it as well. [5:19 PM] Ludwig Von Koopa: The Inkjet can't propel itself vertically infinitely. [5:20 PM] Ludwig Von Koopa: You need to have the surface under you raised if you want to go higher. [5:20 PM] Ludwig Von Koopa: Going to Move It Move It Station. [5:20 PM] RawkHawk2010: just this record high scores? [5:21 PM] Ludwig Von Koopa: Eh? [5:21 PM] RawkHawk2010: High scores. [5:21 PM] RawkHawk2010: How fast you do it. [5:21 PM] Ludwig Von Koopa: That's a component. [5:21 PM] Ludwig Von Koopa: Completion is the primary objective. [5:21 PM] RawkHawk2010: I'd wanna compare my times to Switch friends. [5:21 PM] RawkHawk2010: Ala Odyssey. [5:21 PM] Ludwig Von Koopa: In this stage, you don't have a weapon and you need to be able to dodge an enemy barrage. [5:22 PM] Ludwig Von Koopa: And the surface has no inkable surfaces. Failing Move It Move It Station. [5:22 PM] RawkHawk2010: I like this. 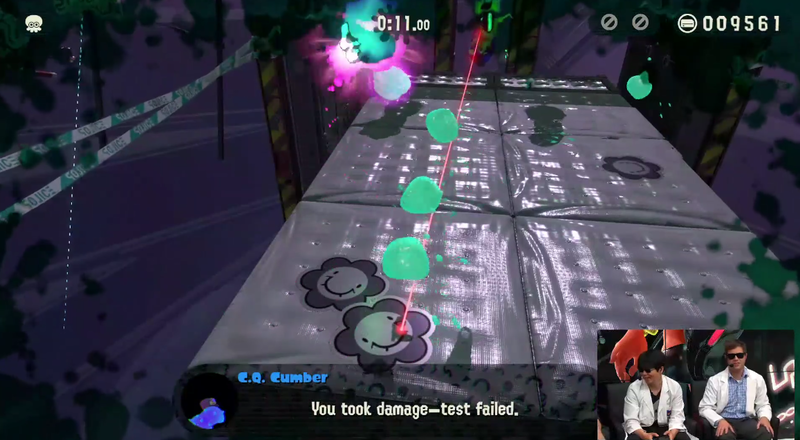 [5:22 PM] RawkHawk2010: Tell the team to sell the Octoling expansion separately. [5:23 PM] Ludwig Von Koopa: Uh...sure, I'll tell them when I get the chance. [5:23 PM] Ludwig Von Koopa: There's a "Girl Power Station" they're going to. [5:23 PM] Ludwig Von Koopa: "Probably one of the most difficult. [5:24 PM] Ludwig Von Koopa: Well, yeah, dealing with women is hard. [5:24 PM] Ludwig Von Koopa: In this stage, you only get a sub-weapon (bomb). [5:24 PM] Ludwig Von Koopa: You need to protect an orb. [5:24 PM] Ludwig Von Koopa: Against a legion of Octoling enemies. To be specific, the bad girls are ready and waiting for you. [5:25 PM] Ludwig Von Koopa: They then give you weapons to choose from to jump and defend. [5:26 PM] Ludwig Von Koopa: Japan guy is acting out of control. [5:26 PM] Ludwig Von Koopa: Death. [5:26 PM] Ludwig Von Koopa: That escalated quickly. [5:27 PM] Ludwig Von Koopa: The further waves are determined via time, not if you've beaten the previous wave. [5:27 PM] Ludwig Von Koopa: Getting Splatted counts as a life lost, not just if the orb is broken. [5:30 PM] Ludwig Von Koopa: "We're gonna have to leave that test unpassed." [5:30 PM] Ludwig Von Koopa: GIRL POWER. [5:31 PM] Ludwig Von Koopa: If you burn through all your lives twice over on a stage, you can cheat through a stage via Off the Hook power. [5:32 PM] Ludwig Von Koopa: This time C.Q. Cumber is wallclinging. [5:32 PM] Ludwig Von Koopa: Instead of being talkable from the floor. [5:32 PM] Ludwig Von Koopa: This is pretty much a Sunshine level. This squid is actually made of breakable crates. [5:32 PM] Ludwig Von Koopa: With a giant squid made of crates in the sky. [5:33 PM] Ludwig Von Koopa: And there a lot of enemies around. [5:33 PM] Ludwig Von Koopa: If you break the crates you'll have nowhere to run. [5:33 PM] Ludwig Von Koopa: In this case, the person fell through and died. [5:36 PM] Ludwig Von Koopa: They mentioned a "chat log" just now. [5:36 PM] Ludwig Von Koopa: "Marina's Chat Room ♪"
[5:37 PM] Ludwig Von Koopa: Instant messaging chatroom logs. [5:38 PM] Ludwig Von Koopa: Now they're in a "House Party Station" featuring E-liter 4k as your weapon. [5:39 PM] Ludwig Von Koopa: You need to defeat 10 Octosnipers. [5:42 PM] RawkHawk2010: This is dragging. [5:42 PM] Ludwig Von Koopa: Because it comes out when they're done. [5:43 PM] Ludwig Von Koopa: Pikachu needs to shut up. [5:43 PM] RawkHawk2010: * Inkling launches * "PIKAAAAAAAAAAAAAA!" [5:43 PM] Ludwig Von Koopa: "You might hear a retro style in the music"
[5:44 PM] Ludwig Von Koopa: Or I might hear a Pikachu from another game. [5:45 PM] Ludwig Von Koopa: Okay it's from Let's Go. [5:46 PM] RawkHawk2010: Cuz you heard Eevee? [5:46 PM] Ludwig Von Koopa: When does Pikachu screech like that in Let's Go? [5:46 PM] Ludwig Von Koopa: Right. [5:47 PM] Ludwig Von Koopa: One more level. [5:47 PM] Ludwig Von Koopa: Boss level. [5:47 PM] Ludwig Von Koopa: "Toastmaster Station"
[5:47 PM] Ludwig Von Koopa: Do they practice public speaking? [5:47 PM] Ludwig Von Koopa: C.Q. Cumber explaining there's an Octo Oven. 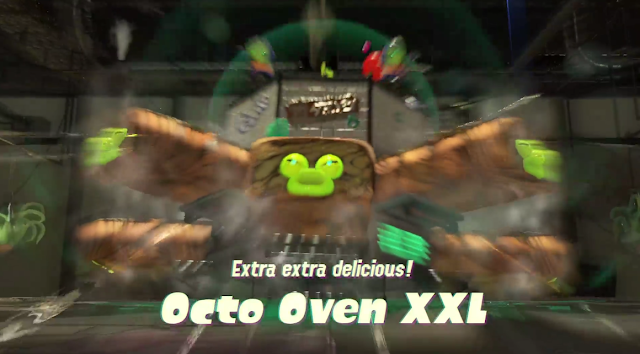 Ludwig is allergic to the Octo Oven XXL. [5:49 PM] Ludwig Von Koopa: They don't want to show spoilers. [5:49 PM] RawkHawk2010: I thought that was wood. [5:49 PM] Ludwig Von Koopa: So they're cutting out. [5:50 PM] Ludwig Von Koopa: I heard a Rabbid scream. [5:50 PM] Ludwig Von Koopa: I hope they're torturing those. [5:52 PM] Ludwig Von Koopa: Oh, what? [5:52 PM] Ludwig Von Koopa: That game they showed. [5:52 PM] Ludwig Von Koopa: The first one in the Direct. [5:52 PM] Ludwig Von Koopa: That's next. [5:52 PM] RawkHawk2010: I didn't think that'd be here. [5:52 PM] Ludwig Von Koopa: Well. That'll be interesting. Should get its own log. To be exact, the next log will be dedicated to Daemon X Machina. The log before this was also for story-based fun. Sort of. Here is the Daemon X Machina log... Uh... It's... interesting. In a non-interesting way.